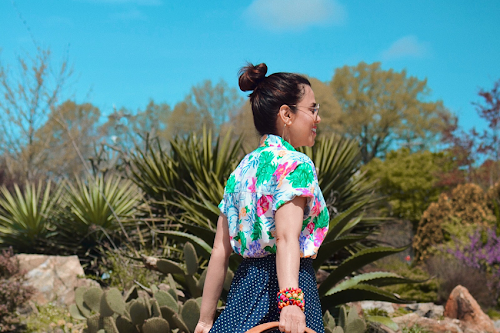 As I said in this post preview on my Instagram, we don't need to be out of town on a tropical paradise vacation in order to wear our Hawaiian prints. Having that tropical vacation mode in mind, however, I decided to wear this vintage Hawaiian shirt (recent purchase) with a pair of comfortable wide legged denim pants to enjoy my own downtown. Como lo mencioné en el avance de esta entrada en mi Instagram, nosotros no necesitamos estar fuera de la ciudad en un paraíso tropical de vacaciones para poder lucir nuestros estampados hawaianos. Y por eso, con esas vacaciones tropicales en mente, me decidí ponerme esta camisa hawaiana con un par de pantalones anchos y confortables para disfrutar el centro de mi propia ciudad. 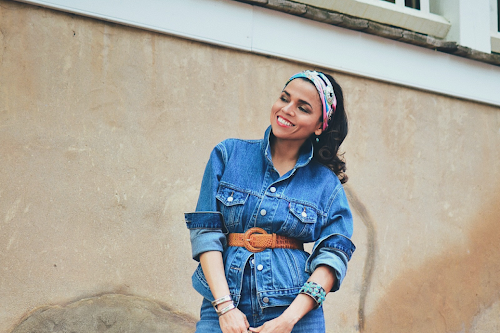 I completely love this vintage belt and the material is perfect for this tropical vacation inspired look. 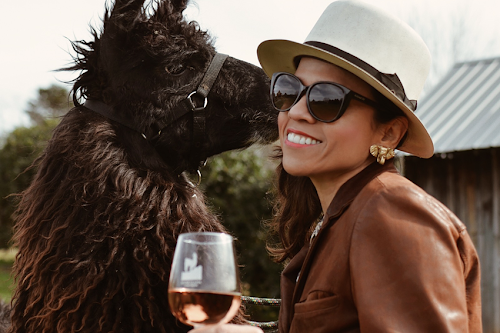 Me encanta este cincho antiguo y el material es perfecto para este conjunto con un aire de vacaciones tropicales. I really like this shirt (men's) so much that I wore it twice this week. I'll show you in a future post how I wore it the second time. Me gusta mucho esta camisa tanto que me la puse dos veces esta semana. En una entrada futura les enseñaré como me la puse la segunda vez. Shirt/Pants/Belt/Ring: Vintage from my local vintage shop Lucky Strike. Similar shirt/camisa from men's department: here. 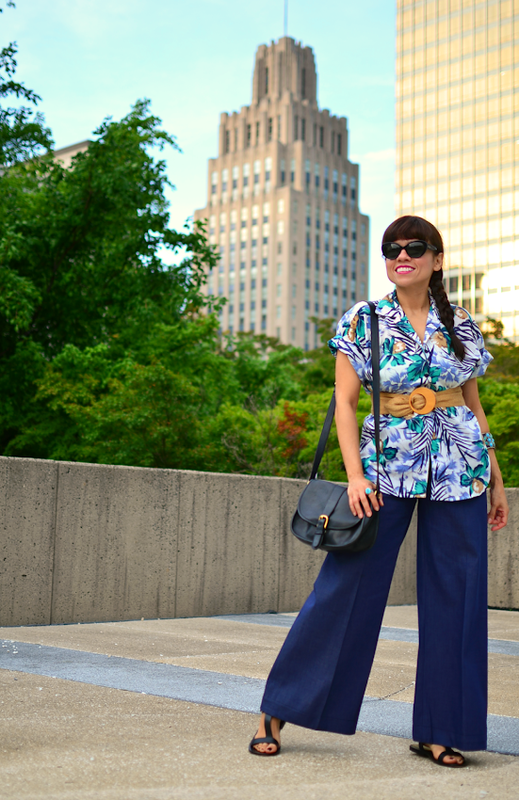 Wide leg pants are cool and the hawaiian shirt is a key piece you can wear in many outfits! Lovable turquoise jewelry! You look very nice!! Thanks so much Dan. I am glad you like it.